March 2019. Color Workshop for Nike and Mexican students from diverse universities in Mexico City. January 2019. A new collaboration with Merkki will be revealed at ZonaMaco Diseño next February. December 2018. Our new Eclipse collection for Tane just arrived to stores for Christmas. Nov 2018. In the presentation of Land in the launch of new Helvex products. Oct 2018. Thanks to Congreso Factor in Queretaro, Mexico for inviting me to talk about my work to architects and designers. Our palm project will be exhibited at Mexico Design Time, a pioneering exhibition, showroom & platform delivering hand-picked, first-class MEXICAN DESIGN CULTURE to London. You can find our new collection for Tane in stores. Invited by Shelf and presented in Zona Maco Diseño, URNS is a project which envision 13 different perspectives about death by 13 different artist and designers such as Ricardo Casas, Iker Orti and Tania Candiani. The Policosmos families, my U stool and pieces from Panorámica are part of the exhibition "Colección de Momentos: 1999-2015" curated by Cecilia León de la Barra at the Museo Universitario del Chopo. Exhibition until may 2018. Happy that my Immersed Birds evolved, now “Pájaros” are part of the Ligne Roset 2018 collection presented successfully at Imm Cologne and Maison & Objet. The quetzal, toucan and hummingbird will be available in color and black versions. Piedras, in the exhibition "Arte-Sano" in the Popular Art Museum in Mexico City, opening this month. Until February 27th 2018. 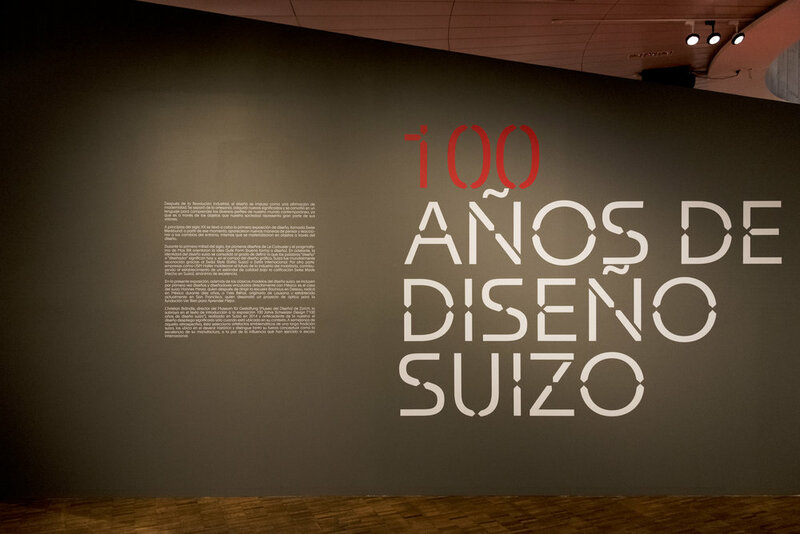 "100 años de diseño suizo" exhibition at Mexican Museum of Modern Art, my Diario project and the Policosmos family where included because I started them at Ecal in Switzerland, an honor to be there together with amazing Swiss projects. SPAN México City was a Google Design event highlighting the best in today's interdisciplinary design practice, you can see my talk here. Design Economy talk during the Abierto Mexicano de Diseño at Museo Interactivo de Economía - MIDE. Thanks for coming. Thank you Anahuac University for inviting me to share my experiences with your students. Congrats to Pujol Restaurant for being the 20th Best World Restaurant. The image top left is from the plate we design for them. Last week, together with Cooperativa Panorámica, we gave a talk at the 3rd International Congress of Schools of Industrial Design DI-Integra at Tecnológico de Monterrey. In a visit to Centro, Constantin Boym, head of Industrial Design in Pratt visit our studio to see what are we working on, hope to see him soon. Our Parity spoons are presented at Archivo for the MXCD 01 exhibition, a radiography of the actual design scene in Mexico City. TV cultural channel in Mexico “Canal 22” interviewed me about the New Mexican design scene. You can watch the complete tv show here. Together with Stéphane Halmaï-Voisard I will be leading a workshop between Centro and Ecal students where we will re-think the Day of the Dead objects. The results will be presented on Tuesday 18 October 7pm at Archivo in Mexico City. Join us! 11 countries, 11 designers, 11 objects. Tectona 40th anniversary design competition. I am really happy to be part of this competition with other 10 young designers from all over the world. Discover the results at Paris Design Week next September! Tectona Showroom, 36 rue du Bac. We are starting a new collaboration with Uriarte, the most important Talavera company in Mexico. Stay close for more news about this tableware existing project. End of semester at Centro ! My students did a great job with their Emma brand. Have a look to their website, they create 8 amazing objects based on the efficient use of a brass bar. Happy to see that our Limited edition Heritage ball for Voit is being handle to important figures of the Mexican football scene. Glad that the Tie Chair is part of the exhibition “Silla Mexicana, Diseño e Identidad” curated by Ana Elena Mallet. The exhibition recollects one hundred Mexican chairs from different years and with so many different concepts. Visit the exhibition in the Franz Mayer museum. Juárez esq. Eje Central s/n, Centro. Thank you Centro for choosing me as this year "Outstanding Design Profesor" of the Industrial Design department, I have enjoyed all the projects of this past year. The freshness is invisible and is related with movement, wind is the main inspiration of this sensation that we can only see when something is moving around us. The freshness produced by the fan moves the bubble curtain, that allows to see through it to the interior. In the occasion of the opening of the exhibition “De Ida y Vuelta, Contemporary Design from México” in the beautiful Museum of Arts of Ciudad Juarez and together with curator Ana Elena Mallet and designer Laura Noriega we talked to students and designers in a round table conference about Social Design and the Mexican Design panorama. In the exhibition you can find objects of Diario and Panorámica among other great Mexican designers. The Coop will present this new collection at Maison & Objet Hall 7 - Talents a la Carte. Mono is a collection of utilitarian objects for the contemporary world, whose material composition joined by a single color creates in each of its pieces a monochrome camouflage. Check out the new project I developed with my students at Centro "Síntesis", the brief consist in designing a commercial object using maximum 70cm of a brass bar of 3mm. Nov 2014. Happy to exhibit my Diario project and Luciole in Hong Kong in the exhibition "ECAL Diplomas- Best Emerging Designers from Switzerland" The exhibition will showcase 30 projects originating from both its Bachelor and Master's degrees. To be (28 November to 28 Februrary). Thanks to Ecal, the Hong Kong Design Institute and the Hong Kong Institute of Vocational Education. Thank you British Council México for awarded me with the YCE (Young Creative Entrepreneur Award), I will be in London from September 10-17, Stay tuned for news here. My Diario project will be part of the 2nd edition of the Istanbul Design Biennial “The Future is Not What It Used To Be”, curated by Zoë Ryan will open to the public on 1st November and run until 14th December 2014. See you there in the opening party. I am very glad with the project "Fragmento", a brand of wooden objects created by my students at Centro this semester, I invite you to meet the project this 9,10 and 11 in Bazar Fusión, if yo want to check catalog, click here. El viernes 28 de marzo a las 4:00pm estaré en el Simposio Internacional de la Universidad Autónoma de Nuevo León, Facultad de arquitectura para platicar de mi trabajo, los veo ahí! Por invitación de Ana Elena Mallet. 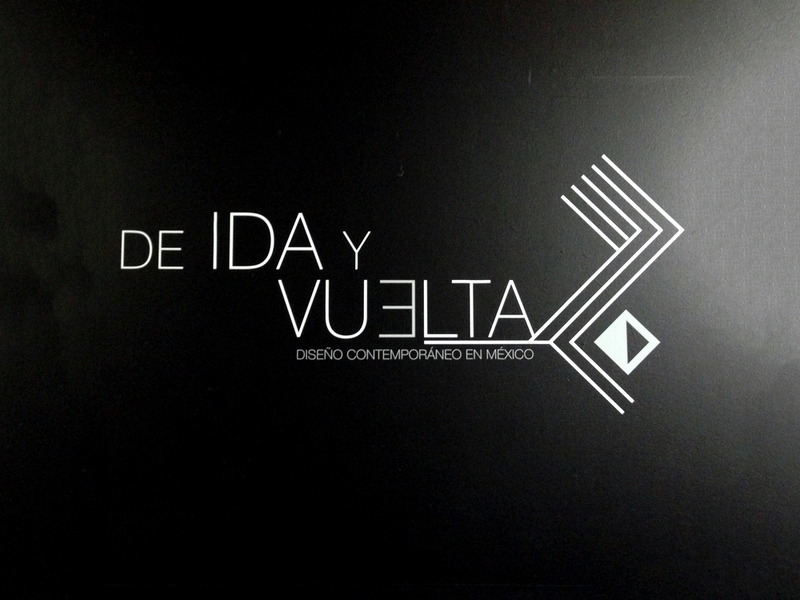 Objetos de Diario y Panorámica estarán presentes en la exposición "De ida y vuelta, Diseño contemporáneo en México" en el Centro Nacional de las Artes,visiten la expo en donde también habrá proyectos de amigos y colegas como José de la O, Jorge Diego Etienne, Pirwi, Liliana Ovalle y Ricardo Casas. Aquí Si te gustaría trabajar con nosotros desarrollando proyectos de diseño. Today I went to Maco, the most important art fair in Latin America with my friends of Pánoramica, we presented a new project: The Colored Basalt table, the table and the video are amazing! Check them out! Diario wishes all happy holidays! Panorámica wishes me happy holidays! In the postcard I am one of the christmas sphere. Everything is ready for our Installation at the prestigious Hotel Condesa DF, Diario products will be displayed, join us! Busy student week! I will be talking with students at Universidad Iberoamericana in Puebla and after that I will be at ITESM in Mexico city. 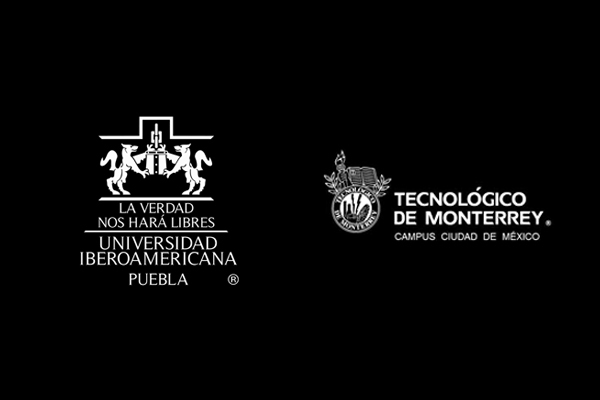 I will be as guest professor at CEDIM in Monterrey for two weeks, tutoring the students with their semester work, they are developing great projects. I was invited to give a workshop about new concepts at Design Decode, the first design festival in Monterrey, Mexico. After 2 years of living in Switzerland I am back in my favorit city. 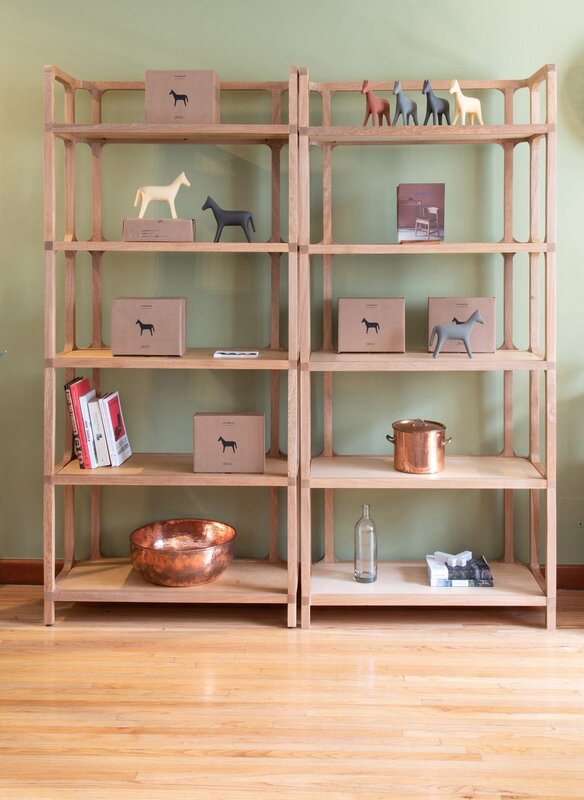 The animals of the low tech factory project were produced and offered for sale at the prestigious Droog gallery/shop/hotel in Amsertdam, it was fun to interact with all the assistants. Together with Cesare Bizzotto, our concept table “Laguna” for the Italian company Riva 1920 was awarded with the first place of its annual competition “Tra le Briccoli di Venezia”. I am excited to receive the prize in Palazzo Ducale in Venice. Happy to participate in Destination: Mexico, an exploration of the MoMA store to spotlight locally inspired Mexican designers. My Lago bowl and Las Perlas necklaces will be on sale on the different point of sales of the museum. 10 CHF pro Stück. For the 14th edition of Designers' Saturdays in Langenthal, Switzerlandthe Animal Growth project was exhibited and together with Eleonora Castellarin fabricated a bunch of animals toys. The Tie chair was awarded and exhibited by the National Institute of Fine Arts in the Sixth Mexican Design Biennial.